There is nothing in this world like a bowl of hot and hearty soup on a cold winter’s day. As anyone knows who follows this blog, I love a good soup, but this may be my best effort yet. Put a little olive oil in a saucepan over high heat. 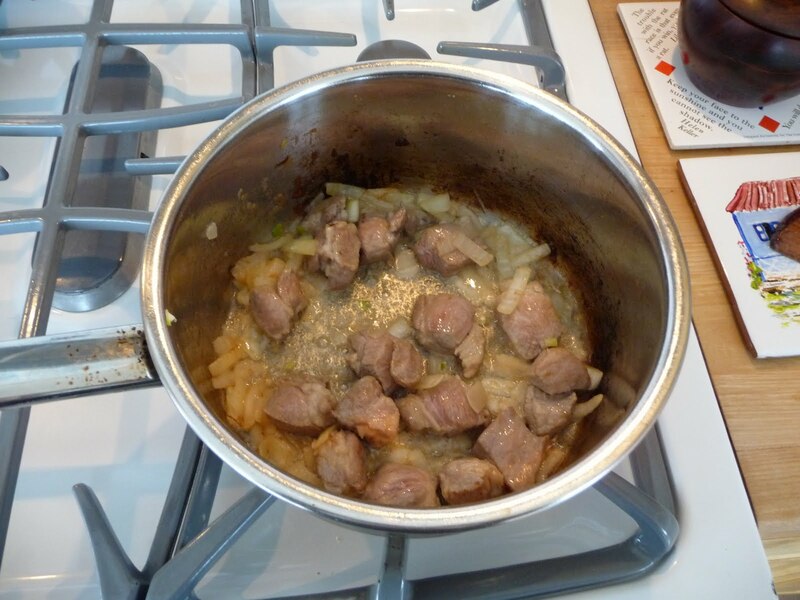 Add chopped onions and cubed pork and brown. At the last minute add some minced garlic. Stir in chili powder, mix well. 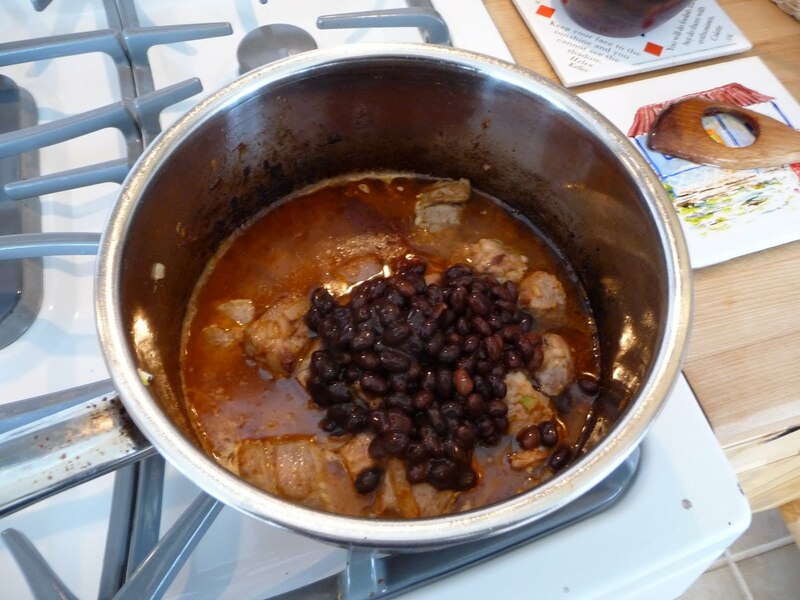 Add half a can of black beans. Pour in enough chicken broth to not quite cover, and one chipotle chile. Bring to a boil, reduce to a simmer, and let cook for three to five minutes, long enough to steep the flavors but not so long the beans get mushy. While waiting, put some chopped cilantro in a bowl. Top with a big dollop of yoghurt. Finish the soup with the juice of half a lime. 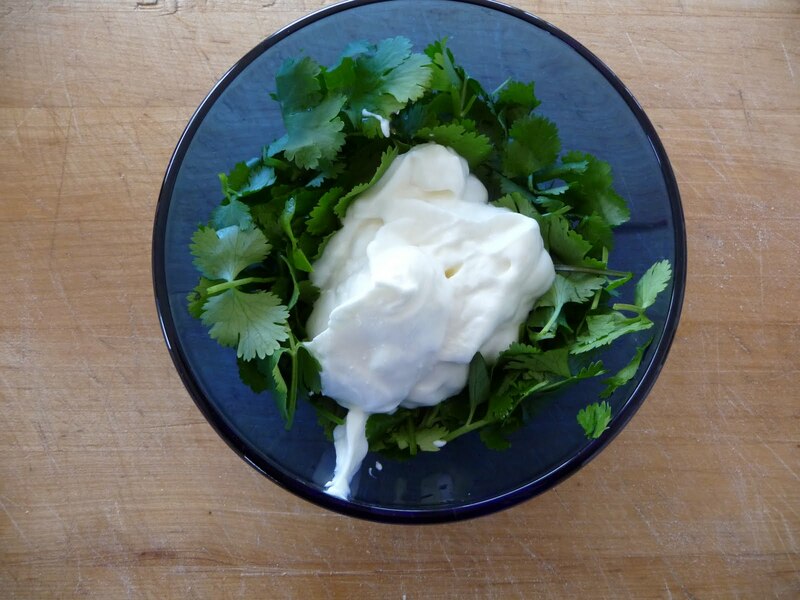 Discard the chipotle chile and pour soup over yoghurt and cilantro. Eat immediately. The best tasting soup I have ever made in my life. *Add chili powder at your own discretion. The first time I made this, I put in a quarter teaspoon. This time, I put in half a teaspoon, and it was just about right. If you’re fond of the roof of your mouth, you’ll want to be careful. *It helps to have a friend who went to India bring you back some chili powder from the local market. But I’m sure ordinary McCormick’s chili powder works just fine, too. She said kindly. *The first time I made this without meat. The second time, I used a piece of boneless pork rib. I’m betting chicken would work in this soup, too, and even beef for that matter. 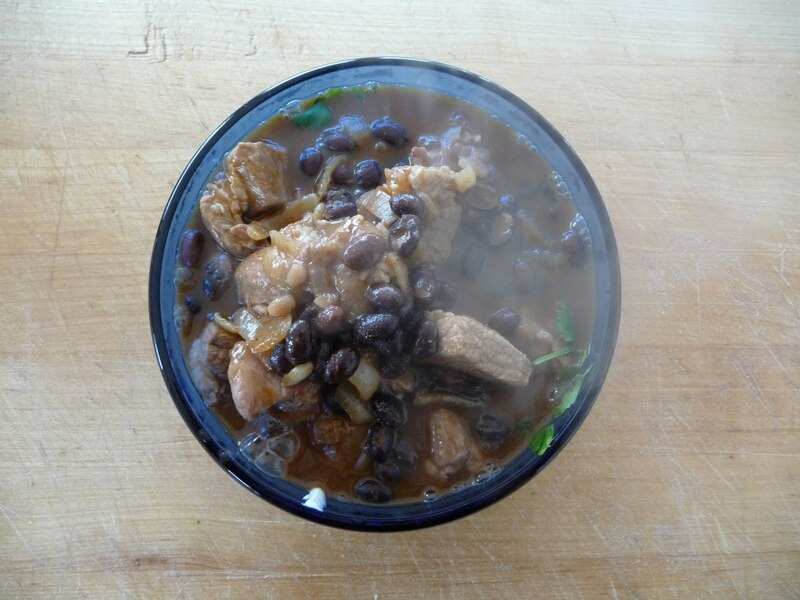 *This recipe is a rif on the spicy black-bean soup Mark Bittman wrote about in his customizable soup column.